It is possible to enable Global Opt-out on your lists in Ubivox. The Global Opt-out setting is useful and time saving if you are managing more than one list. 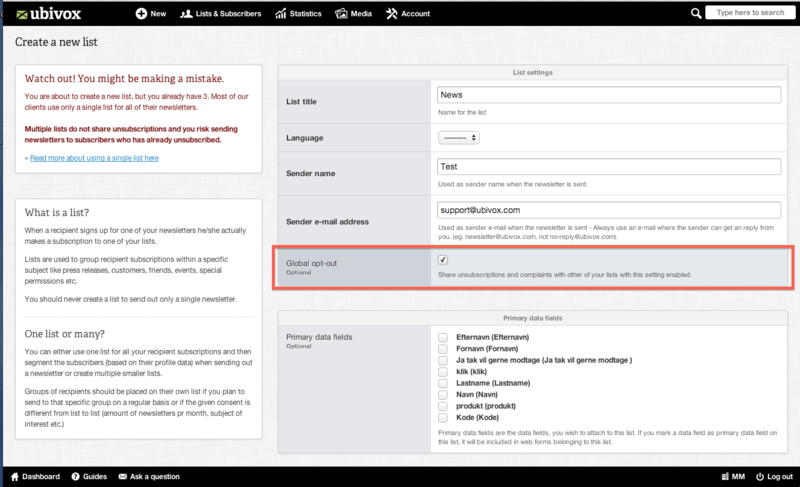 The setting enables unsubscriptions to be carried out on all lists that have Global Opt-out enabled. Therefore, if you have several lists that includes some of the same recipients, if a recipients unsubscribes from one list, the recipient will automatically unsubscribe from all of the lists that have Global Opt-out enabled. 1) Go to Lists & Subscribers and chose Lists. 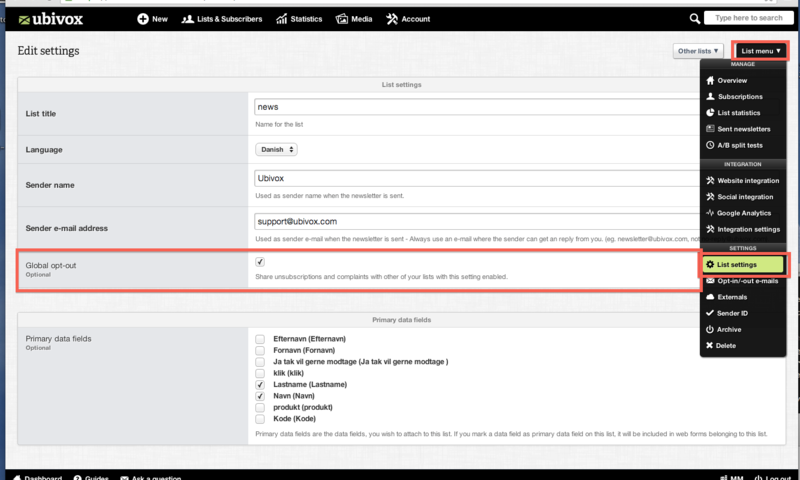 Select your list and go to List menu in the top right corner and select List settings. Mark the Global Opt-out field and press the Save button. The information in red is merely a reminder, which states that you are working with more that one list and that Global Opt-out on unsubscriptions has not yet been enabled.